Paiagallo is Giovanni Canonica's original vineyards. Gianni produces stunning Barolo from this vineyard. All the works are traditional and natural in the vineyards and cellar. The vineyard is totally free from herbicides, pesticides or fertilizers. 40 days maceration, using only indigenous yeasts without any additives, vertical hand press, then aged in 20hl slavonian oak. Barolo enthusiast must experience this. Good news from Canonica is the increment of production although it is tiny addition. He got a new supply of excellent grapes from his wine's family vineyards "Grinzane Cavour". He has managed this vineyard in the same manner with his Paiagallo and wine-making as well. Giovanni Canonica is the real deal on a par with Bartolo Mascarello. Barolo enthusiast must experience this. 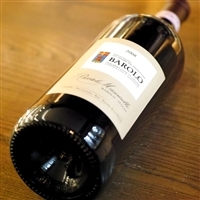 Hidden gem in Barolo Giovanni Canonica is the real deal on a par with Bartolo Mascarello. Gianni Canonica produces stunning wines from only 1.5ha vineyards in Paiagallo and new in Grinzane Cavour. 2016 Barbera reached 15.5 alcohol with thick and gorgeous texture. This wine requires several years for ageing. Generally Barbera is recognised as casual wine, but a few producer can produce Barbera as a great wine. One of the top quality Barbera with long ageing potential. Please keep several bottles for the future. Cannubi 50%, and making process is same as Barolo except for shorter aging period. Freisa is a local grape varietal in Piemonte and it is considered as roots of Nebbiolo. Produced by traditional method Ripasso by Nebbiolo. Lightly sparkling. Something special.